It's time for another edition of Wendy's Favorite Things...and this month, I've got some really amazing items to share with you! This month's Great Eight features everything from frozen treats to a pair of cheese-infused items...and cream cheese-stuffed bagels to a pair of items to help streamline your weeknight dinner prep! (1) JC's Pie Pops. 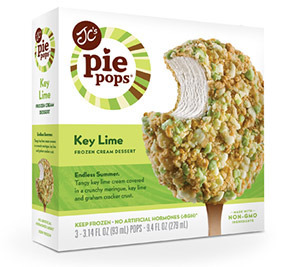 I love eating creamy no-bake pies, so I flipped when I found JC's Pie Pops in the freezer aisle at my local grocery store. Unlike ice cream -- which can melt -- these frozen treats are a yummy mess-free snack! The creamy base is frozen on a stick and covered with a crust-like coating. JC's Pie Pops come in fun flavors like Banana Cream, Caramel Turtle, and Chocolate Silk. My personal favorite is Key Lime. A sweetly tart creamy center is covered in a coating of meringue, key lime, and graham cracker. It's a fun frozen spin on one of my favorite pies! JC's Pie Pops average 200 calories per pop, making them an indulgence I don't have to feel guilty about enjoying. As the weather turns warmer in Texas, I can't wait to try more flavors...especially their new Coconut Cream flavor! To find JC's Pie Pops at a store near you, check out their online Store Locator. (2) Brazi Bites Brazilian Cheese Bread. If you've dine at a Brazilian steakhouse, you've probably tasted the Brazilian cheese bread called pão de queijo. 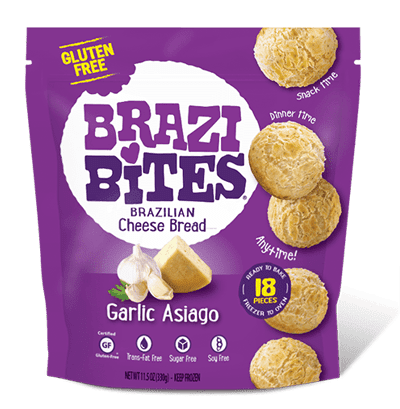 Thanks to Brazi Bites, I can enjoy this cheesy treat anytime the craving hits! 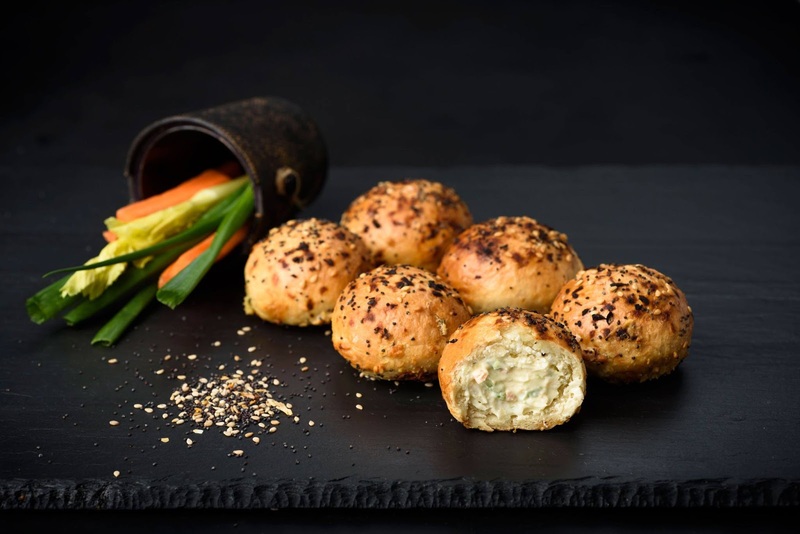 Brazi Bites are from the creator's family recipe in Brazil. They come pre-formed and frozen, so all you have to do is bake them until the outside is toasted and the cheese inside is melted and gooey. Based in Portland, Oregon, the creators of Brazi Bites were featured on Shark Tank in 2015. These cheesy treats come in four great flavors: Cheddar Parmesan, Garlic Asiago, Zesty Pepperjack, and 3 Cheese Pizza. My favorite is the Garlic Asiago, which pair nicely with a glass of chilled white wine. They're also a great dinner side dish. To find Brazi Bites near you, visit their Store Finder. No store near you? No problem! They also sell Brazi Bites via the Healthy Goodness website. (3) Graeter's French Pot Ice Cream. My latest ice cream fine is Graeter's French Pot Ice Cream. Graeter's has been making their handcrafted ice cream in Cincinnati, Ohio since 1874! 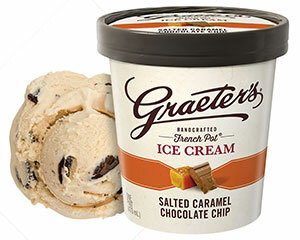 Their unique French pot process is what gives Graeter’s ice cream its ultra-creamy texture. They use 2.5-gallon French Pot freezers, using the same small-batch process they've using for nearly 150 years -- then each pint is hand packed. I recently tried their Salted Caramel Chocolate Chip and their signature Black Raspberry Chocolate Chip flavors, and I was blown away by the creamy ice cream and the large pieces of creamy dark chocolate. The Salted Caramel Chocolate Chip in particular is so decadent! To find Graeter's French Pot Ice Cream near you, visit their searchable online Store Locator. You can also purchase their ice cream via their convenient online shop. (4) Michael Angelo's Lasagna with Meat Sauce. I love lasagna, but I rarely have time to make it from scratch. Most frozen lasagna is a pale imitation of homemade. However, I recently tried Michael Angelo's frozen Lasagna with Meat Sauce and was so impressed with its flavor. The lasagna features fresh beef, vine-ripened tomatoes, and al dente pasta...so delicious! 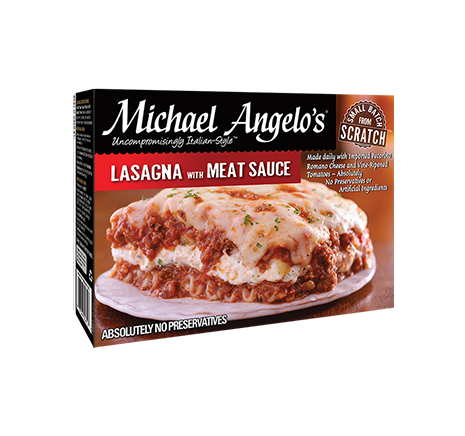 Michael Angelo products are made from family recipes -- and they taste authentic and delicious. Michael Angelo products are made in Austin, Texas, and contain no fillers, dyes, or preservatives. That leaves room for real ingredients like imported cheeses, heirloom garlic, and specially selected tomatoes. The Lasagna with Meat Sauce comes in several sizes, including single serving and Family Size. To find Michael Angelo's products at a store near you, check out their handy Where to Buy page. (5) Bantam Bagels. Bantam Bagels has created a line of two-bite mini bagels that are stuffed with cream cheese. This makes these delicious bagel creations perfectly portable! Bantam Bagels is based in New York, where they can be purchased freshly baked at their Greenwich Village storefront. You may have seen the creators during their appearance on Shark Tank. Bagel lovers nationwide can enjoy Bantam Bagels via their convenient online store...and at their local Starbucks! I recently visited my local Starbucks and sampled a trio of Bantam Bagel flavors: French Toast (cinnamon bagel with maple cream cheese), Everybody's Favorite, and The Classic (plain bagel with whipped cream cheese). While I was waiting for my drink, a two-pack of each flavor was heated and toasted for me. The end result was a bagel that was warm on the outside, with a generous amount of cream cheese inside. My favorite was the Everybody's Favorite: an everything bagel filled with veggie cream cheese. Yum! (6) GoodHeart Ready-to-Use Chicken. My weeknights are busy, so I'm always looking for items that save me time in the kitchen. 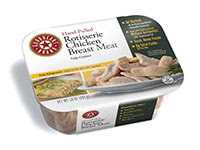 I recently tried GoodHeart ready-to-use chicken and was very impressed with its quality and flavor. GoodHeart is made here in San Antonio and comes in both chicken breast and thigh varieties. I tried the Premium Hand-Pulled Rotisserie Chicken Breast and Premium Diced Chicken Breast. I used the rotisserie chicken to make a quick pasta dish, and I used the diced chicken breast for a quick entree salad. Both items feature chicken meat and a few simple ingredients for flavor. GoodHeart chicken is tender and juicy -- and it saved me a ton of prep time during dinner! GoodHeart chicken can be purchased by my Texas readers at their local H-E-B grocery store. (7) Jarlsberg Cheese Crisps. Do you love the nutty taste of Jarlsberg cheese from Norway? I sure do! I recently tried Jarlsberg's new line of Cheese Crisp baked crackers, and I'm totally hooked. Jarlsberg cheese is added to the top of a Norwegian cracker before baking. The end result is a crisp cracker with the distinctive flavor of Jarlsberg cheese in every bite! 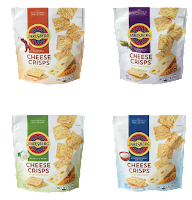 These Cheese Crisps come in four fun flavors: Rosemary & Olive Oil, Mediterranean Sea Salt, Garlic & Herb, and Chipotle. They're delicious on their own as a snack...but they are especially delicious paired with a slice of Jarlsberg cheese. Jarlsberg Cheese Crisps would be a fantastic addition to your next wine and cheese party -- I find the Garlic & Herb is especially tasty. 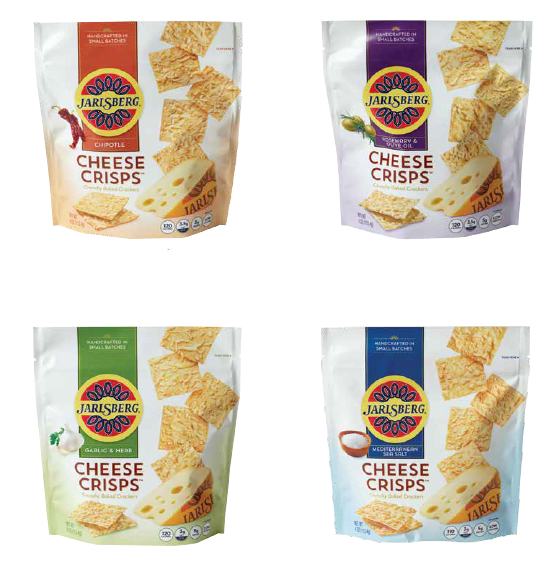 Jarlsberg Cheese Crisps can be found at most major grocery retailers nationwide. (8) Litehouse Instantly Fresh Garlic. I cook with garlic nearly every night -- I absolutely love the aroma and flavor it brings to food. It's so frustrating when I need garlic, but have run out and forgotten to buy more. With convenient Lighthouse Instantly Fresh Garlic, I always have garlic ready for making garlic bread or flavoring a wide range of dishes. This convenient product provides all of the taste of fresh garlic -- without the hassle of peeling, chopping, or pressing! One jar of Litehouse Instantly Fresh Garlic contains the equivalent of 45 cloves of chopped, freeze-dried garlic. The garlic pieces rehydrate quickly in olive oil or other liquid, and it tastes great. I've used this garlic numerous times over the past few weeks and have been very impressed with its flavor and appearance in my finished recipes! To purchase this fantastic product near you, be sure to visit Litehouse's Where to Buy page. Disclosure: The products featured in Wendy's Favorite Things provided me sample items to facilitate inclusion. I only recommend products that I have personally tried and enjoyed. All opinions expressed are solely my own.